TOP SALES WORLDWIDE CO., LTD. has wanted to have a role to develop mold, tooling and machinery industry based on research and design and experience of over 20 years in the same industrial branch. We have superior ability than other companies in development of manufacturing molds and machinery components application of South Africa, America, South Asia, Iran, Saudi Arabia, Egypt South Asia and China. Our present products are as below. -Machinery Industry :Industry injection machinery, fin press and relatived equipment included hairpin bending machine, expander, brazing machine, coil bending machine, press and the relative components for the machines. -Trading: logs, planks, lotion –aid products, hardware, motor parts, pallets ……etc. We are specialists in the design and manufacturing of production equipment of homing electric facilities related with Air conditioning, Refrigerator and Washing machine and so on. We are engaged in developing high good quality in all products. Top Sales also undertake to supply complete Turn-key systeme for our customers and enhance the cooperation with international famous company for homing electric facilities to provide excellent products and efficient production equipment to promote the outstanding ability in the world market. Mold’s design and manufacturing included injection, press thermoforming: For House ware, furniture in the market of South Africa and refrigerator’s parts in Saudi Arabia, South Asia for Carrier, Uniaire., Computer and telecom components for Philips and BENQ in China and car component for Honda, Carrier……etc. Oct.1980, RAINBOW HORIZON ENT. LTD. ESTABLISHED (OFFICE). June. 1987, We were involved to set up the in injection factory in South Africa,S.A. LEISURE (PTY) LTD. it occupied 60% marketing share now. Dec.1996, United & Competitive LTD. established office for Triangular trading and mold R&D. JUNE 1997, KA-SEI CO., LTD in China Established. For exporting all the products in China. May. 2000, Integration Manufacture Corp. in Jian-Su, China Established 2000, ISO9002 Approved in Jian-Su Headquarters. Apr. 2002, Top Sales Worldwide Co., Ltd. established and in Mar. 2003, we are the sole agent for few Taiwan factories to manufacture the refrigerator’s components. Relative machines development for air con and refrigeration: U-bending machine, expanding machine, hairpin bending machine, insert ring machine coil dry oven, brazing welding machine, straighter cutting machine…etc, . 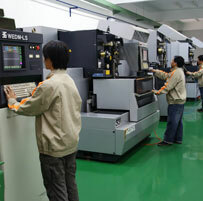 We will do our best to supply good products and service to customers through the continuous development.